Today was an absolutely perfect way to end this hike! 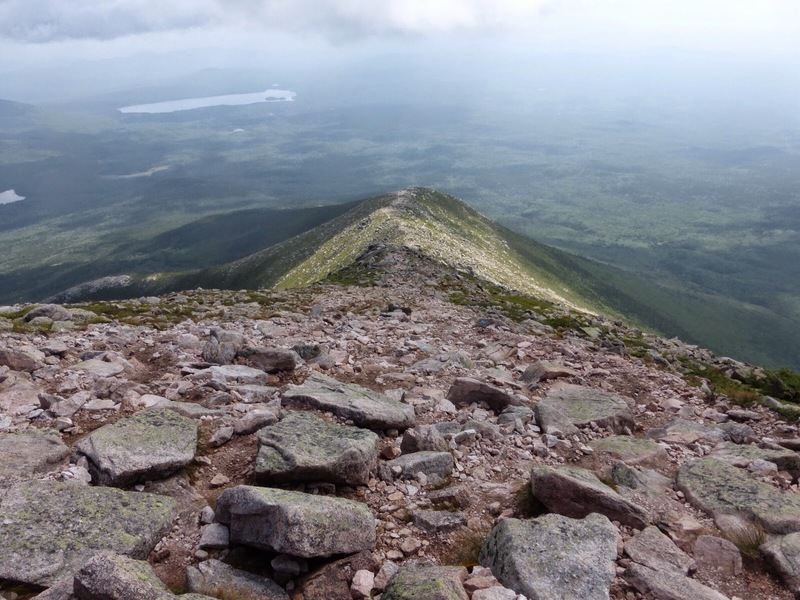 This entry is picture heavy so I hope you all enjoy the views as I wanted to show each step as we climbed Katahdin so you all can virtually experience it. Our alarms were set for 2am and I am pretty sure we were both awake before the alarms went off. We took our time and it was really nice out. Mild temps and clear skies so we could see the stars. I got to hear Jett Cat’s morning Jet Boil hiss for the last time…never thought I’d miss the sound of a Jet Boil early in the morning and the crackle of a NeroAir so much, but I will. We took in the morning and were both in a really good mood. All was right and we were excited to have a clear summit. As we got ready, the mystery hiker that came in late last night also got up. As we were leaving with our headlights on at 3:15, we met Trademark. 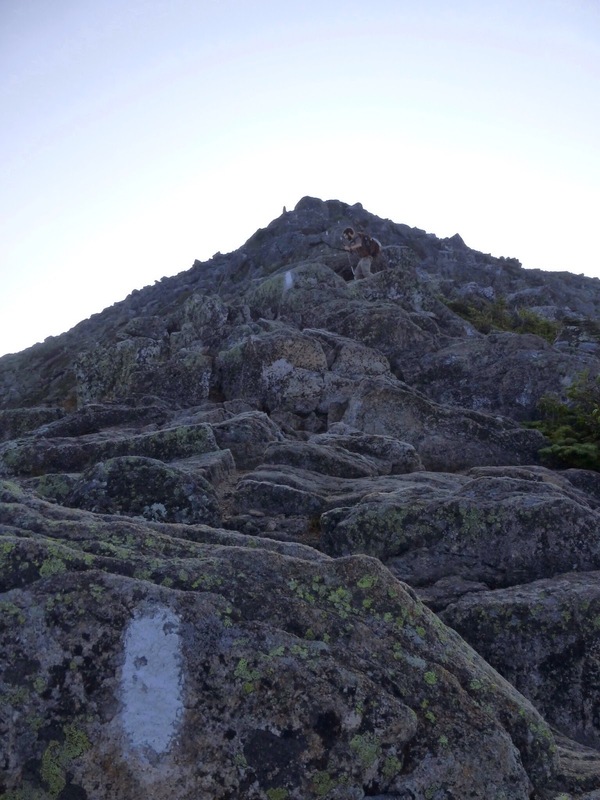 He was also planning to summit early to avoid the forecasted storms and asked if he could join us. 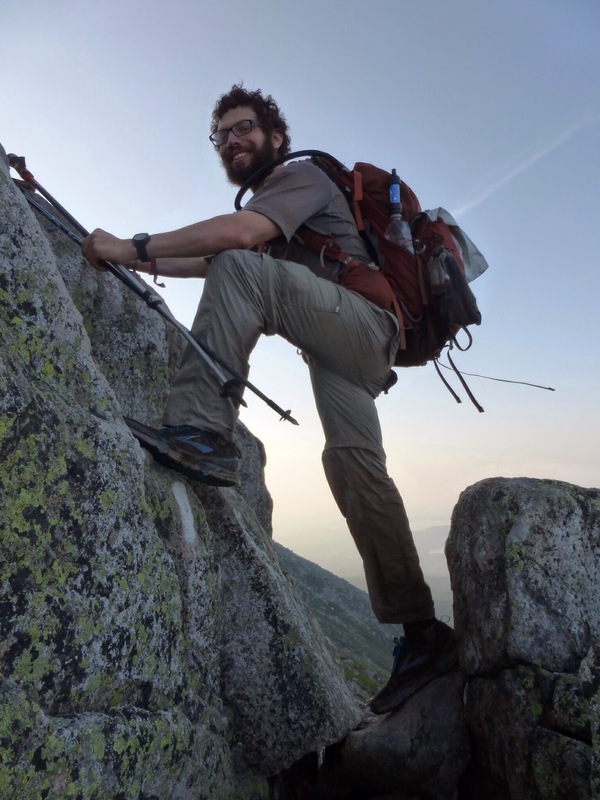 He still needed to pack up, so we went on ahead and knew he’d catch up somewhere along the 5.2mi hike up to the top of Katahdin. It was just perfect! We loved starting in the dark with the cool air and clear skies. 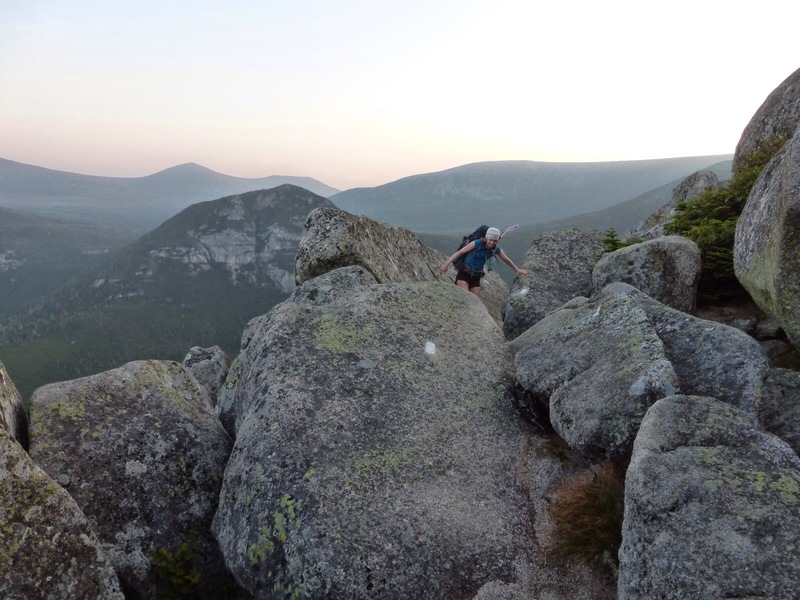 Around 5am, it was light enough to put our headlamps away. The trail was much nicer than we anticipated. As it climbed, there was some scrambling over large boulders, but it was really enjoyable and no more strenuous than climbs we’ve already had. We’d been warned by everyone against carrying our full packs up, but we are stubborn and carried our full packs up. 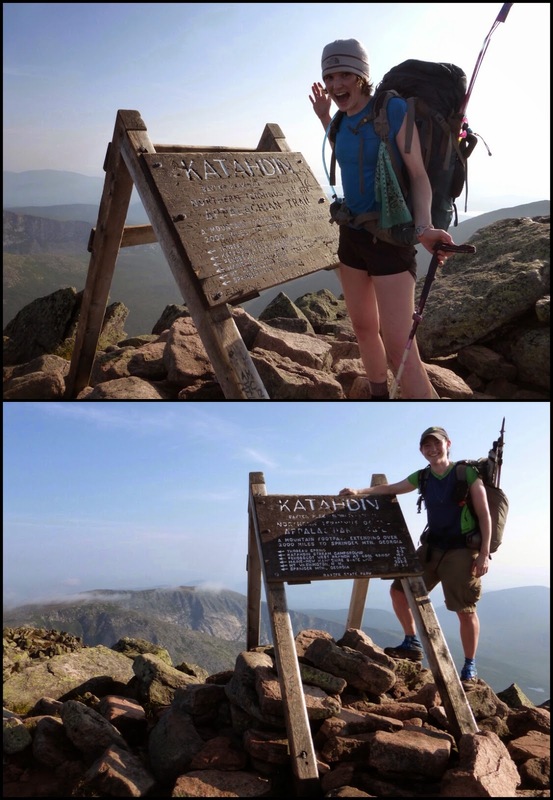 We both have too much pride not to carry our own gear the whole way and we also wanted to exit off Katahdin on the other side of the mountain on the Knife Edge trail rather than returning to the campsite like many hikers do. 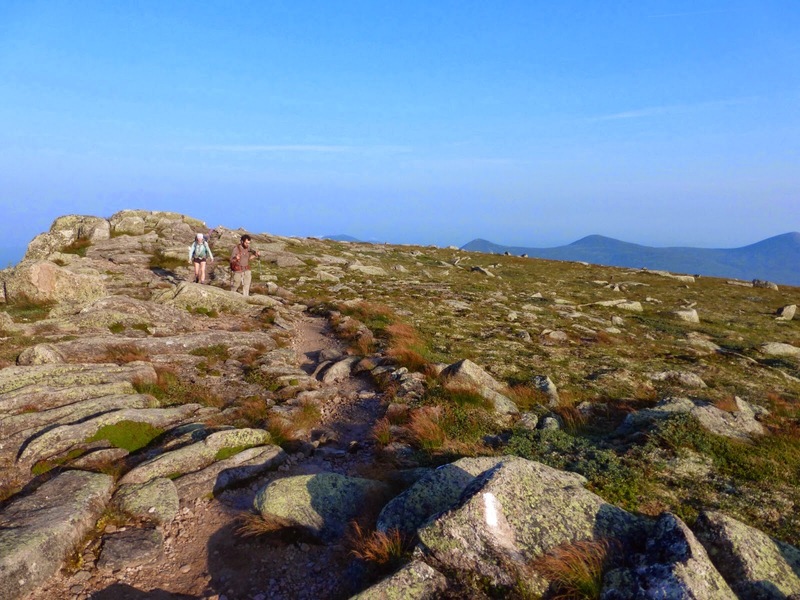 Most hikers use loaner packs or just throw the minimal needs in their own pack and hike up with little weight since they are returning to the campsite. We didn’t mind carrying our packs at all and it was just like every other day on the trail. Trademark caught up to us soon after daylight hit and we all were in hiker bliss the rest of the climb. It was just perfect! The sun was rising on the opposite side of the mountain so the views on our side were beautiful. I totally recommend this strategy of starting in the dark as we absolutely loved the majesty and colors as the sun rose over the mountain. It’s difficult to see here, but the pinks and purples were in the horizon and we were in heaven. 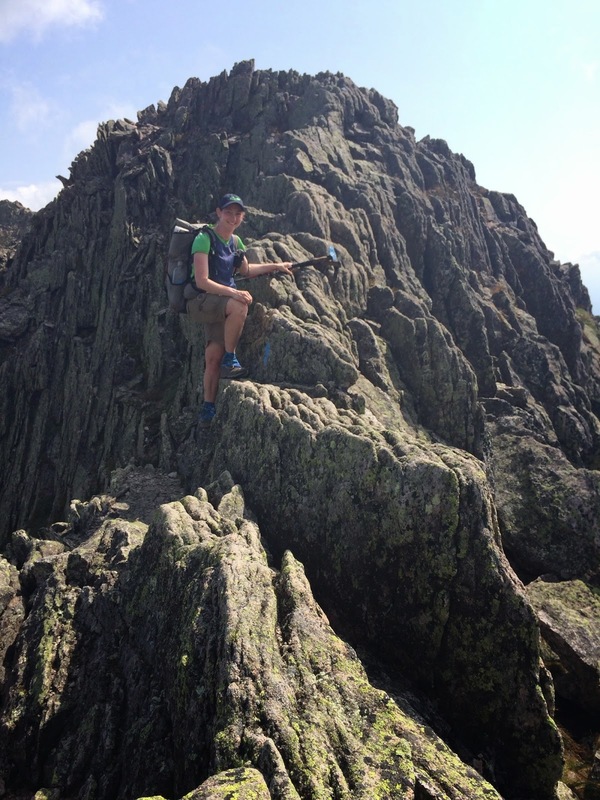 The climb up was really fun with some fun scrambling through larger boulders. There was a steep climb as we left treeline that led up steeply for .4mi to the Gateway. We all had huge smiles on our faces as we kept looking back to see the shadow of the mountain behind us. It was just a magical morning and all three of us had the climb to ourselves. We just all expressed how much joy and emotion we were having and it was great to be with others who had also hiked for months to reach this moment. We really enjoyed hiking up with Trademark who honestly said that this was the best day of his entire life. 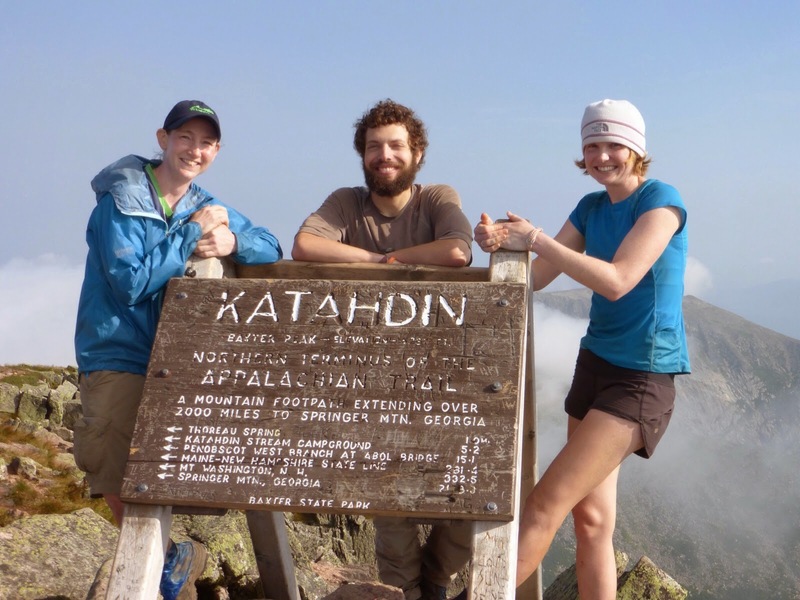 It filled me to see how he and Jett Cat were experiencing their first long trail completion. Both were ecstatic and at a loss of words for this amazing feeling that only others who have done this can comprehend. All Jett Cat could say is, “There is so much EMOTION!” It really is indescribable as the adrenaline and joy courses through your body. Trademark absolutely LOVED it and his joy was contagious. He has kept an online blog and I’d bet he has an entertaining writing style. His blog has the witty url, anargentineaffair.wordpress.com. 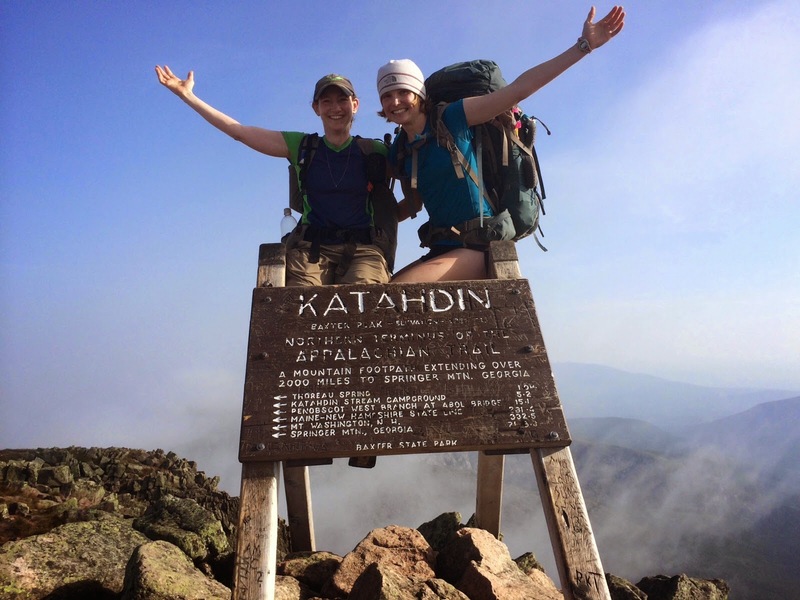 The title is actually, “Four Months With My Argentine Mistress (but really just a thru-hike of the Appalachian Trail).” A hilarious reference to the South Carolina governor that went missing a few years ago and said he was on the AT when he was really having an affair with an Argentine woman. He is going to update it as soon as he returns home, but it’s worth a look. Great guy. 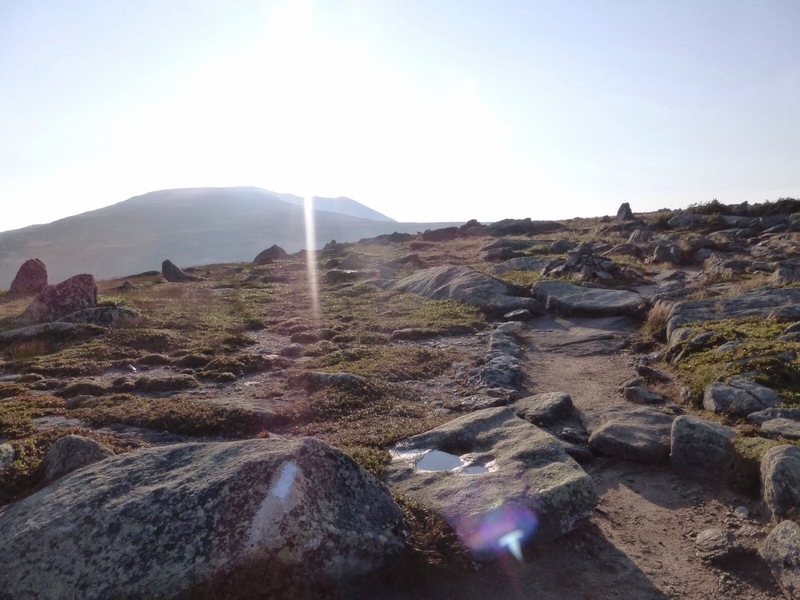 Once we reached the Gateway, there was still over a mile of hiking on a fairly level and gradual uphill to the summit. 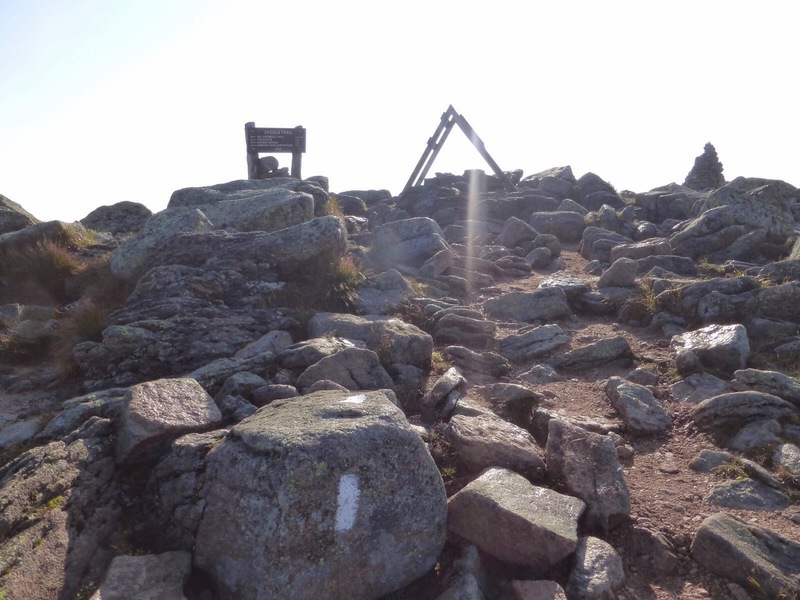 Here is our first view of the summit with the sun shining over it. And the view looking back as we hiked toward the sun. There is the sign with the final blaze!!! We made it up around 7:30am and it was absolutely PERFECT! We had the top all to ourselves for a good 30mins until another group arrived. We knew clouds could move in quick, so we snapped all our dream photos with the sign and worked really well as a team to make sure we each could savor the moment. Notice the clouds rolling in in the back. They would drift in and out, but then passed and thankfully remained clear for our celebration. I didn’t have a crown, but I had something even better! I’ve been wearing a Wired hat all trail that was sent from my friend Dan. He had another one made that I got to wear at the summit that has the triple crowns embroidered along with the years of each of my trails. Thank you Dan!!! 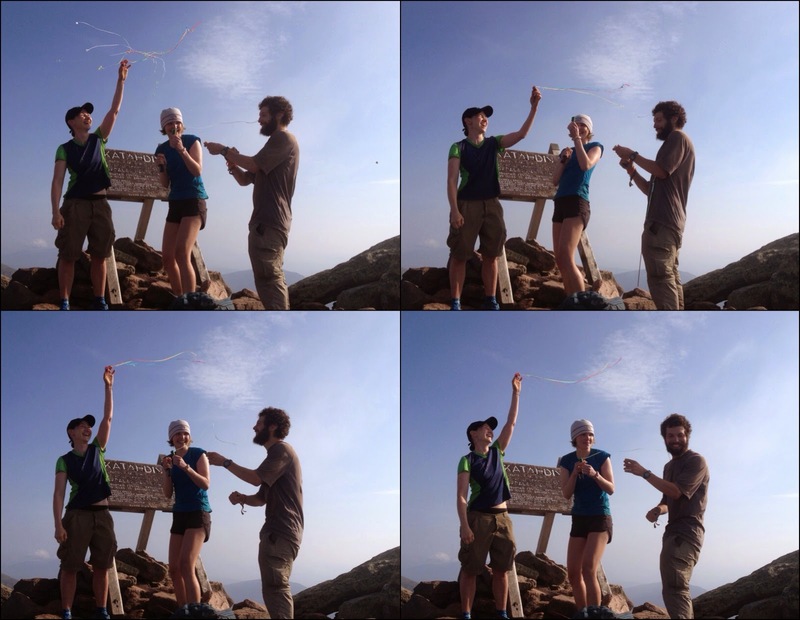 We celebrated with streamer poppers and attempted some sparklers, but the wind prevented them from being successful. Good times! Trademark returned on the same trail back to the campground and we continued on along Knife Edge. It was a great way to end this trip as we just didn’t feel right about hiking southbound when we could continue north and exit off a trail that is exciting. 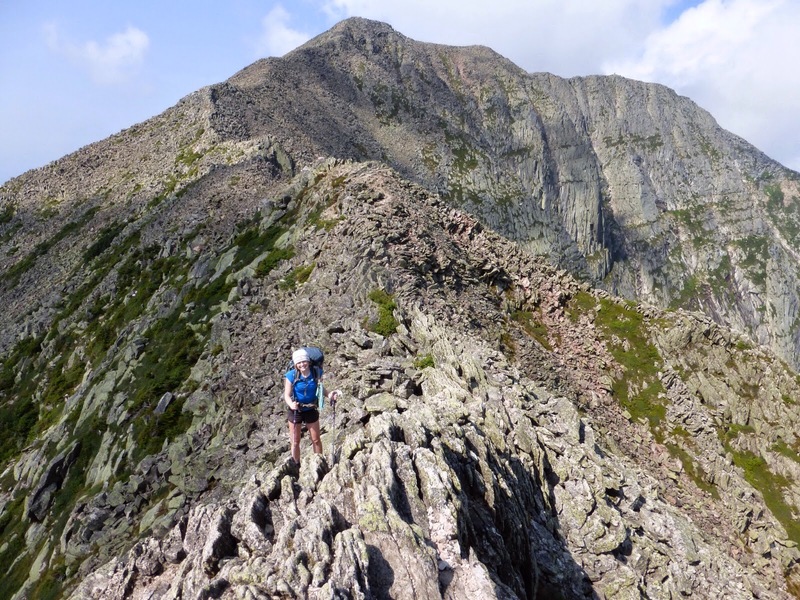 It is 1.1mi on the Knife Edge and then 3.2 down the trail on the north side that leads to Roaring Brook campground. Knife Edge was slow going, but we really enjoyed it as we got to walk on the edge along the ridge here. The weather was perfect with little wind, sunny skies, and nice temperatures. 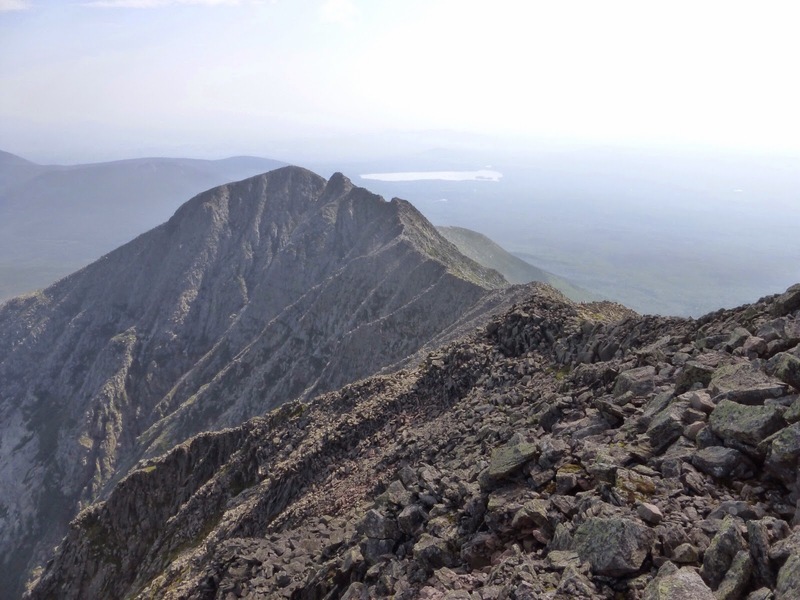 This the view looking back at Katahdin as we go over Knife Edge. The most intimidating part of this route that keeps many away from exiting via Knife Edge is a drop called The Chimney. It goes straight down for about 30ft or so and can be sketch with full packs. 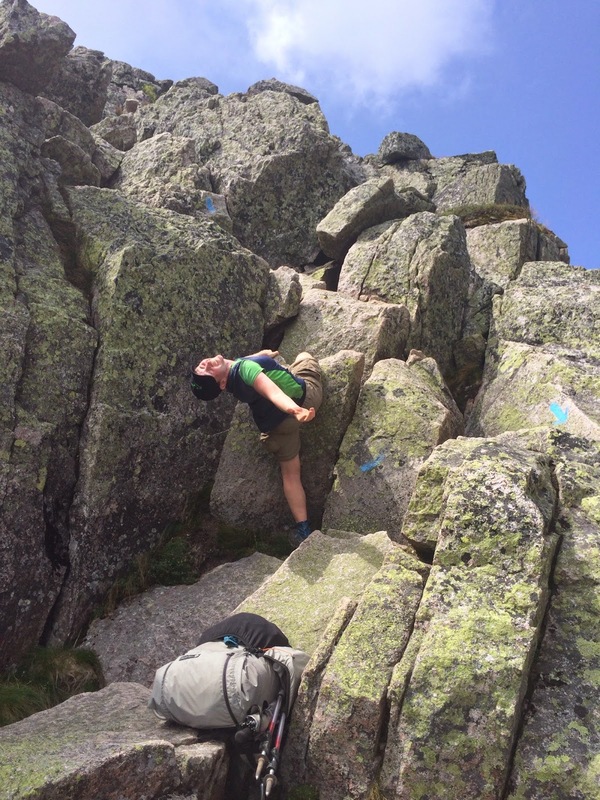 We were able to ease our packs down and then use them to step on as we lowered ourselves down. Definitely not a hike to do in inclement weather, but it was a great day for it. It’s difficult to see in the picture below, but this was on of the sketchiest parts and I was having fun hanging upside down over a ledge in The Chimney. The only part of this hike that we didn’t like so much is the 3.2mi down after the Knife Edge. 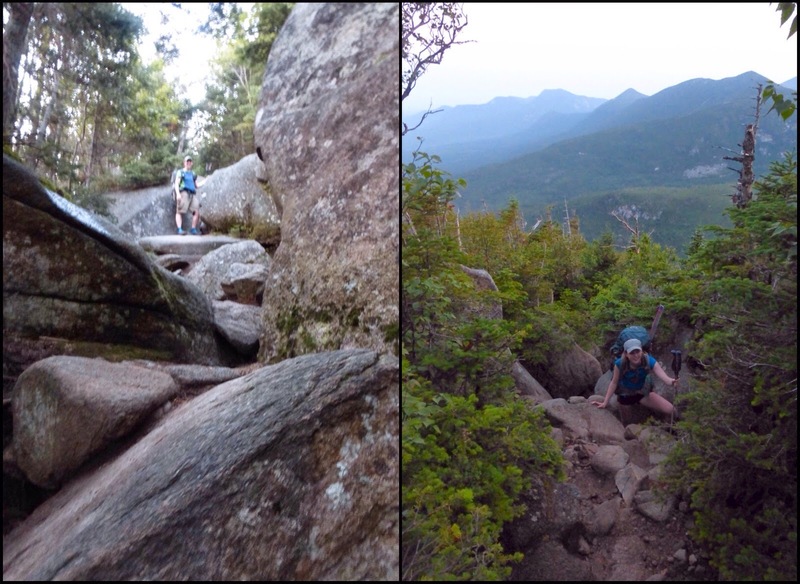 It took us about two hours to do the Knife Edge and another two plus to come down the rocky bouldery trail after that. It had been a long day and we were starting to feel it at this point and were ready to be done. 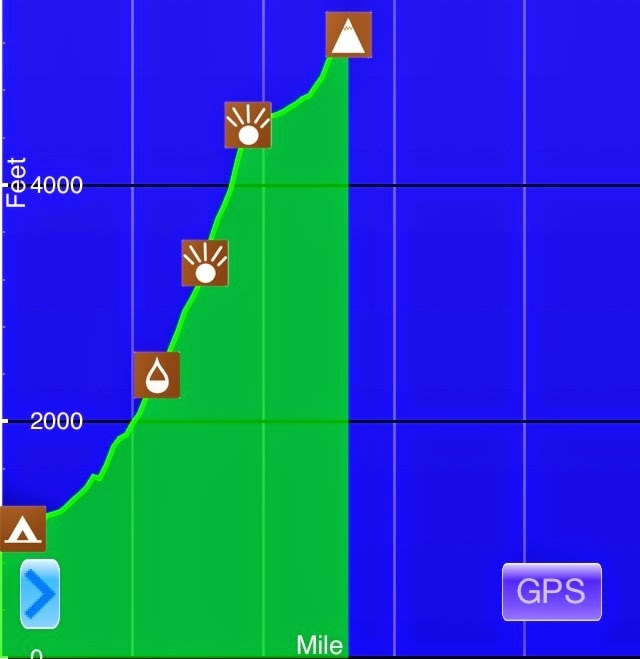 So be warned if you choose this route that the final 3.2mi take a lot longer than you’d think. 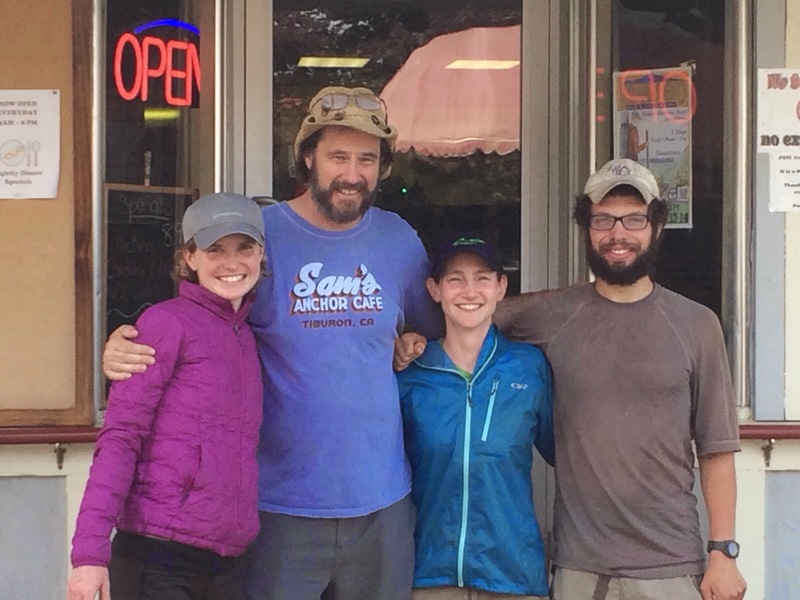 We were fortunate that Squatch as able to pick us up and we returned to Millinocket to celebrate at the Appalachian Trail Cafe. As I mentioned before, Squatch is filming his third AT documentary and has interviewed us many times so I’m sure some embarrassing footage is headed to the big screen this spring. I’ll keep everyone posted when the film is released. Trademark got a hitch from the campground and met us there, so it was a great way to celebrate. We are now in a hotel in Bangor, ME with Squatch. Jett Cat gets a bus to Boston and then will fly out to her parents’ in Florida in a couple days. I need to find a way to Killington, VT to take a zero and then finish out the remaining 173mi of the Long Trail through Vermont. I’m still 5hrs away from Killington, so I am either hitching or finding a bus or a combination to hopefully get there tomorrow. 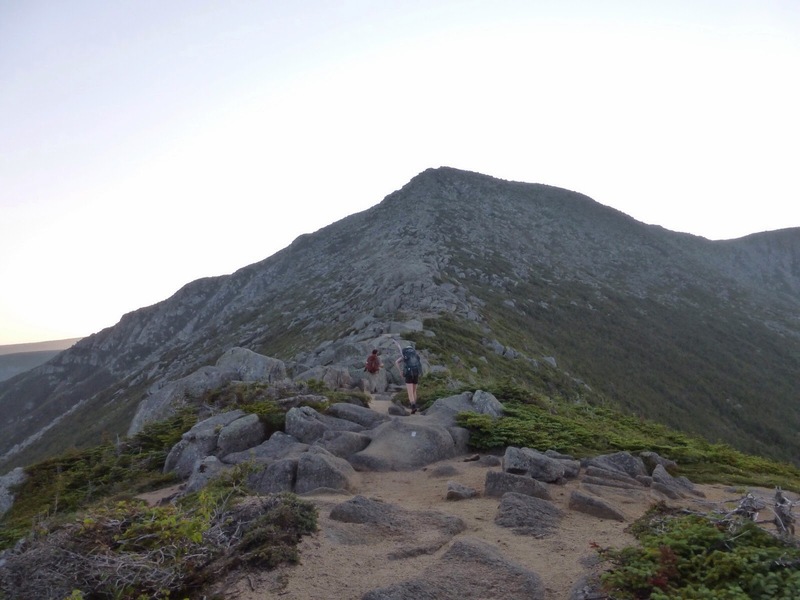 Then I will probably zero to catch up on things and resupply on the 7th so I can get on the Long Trail on the 8th. 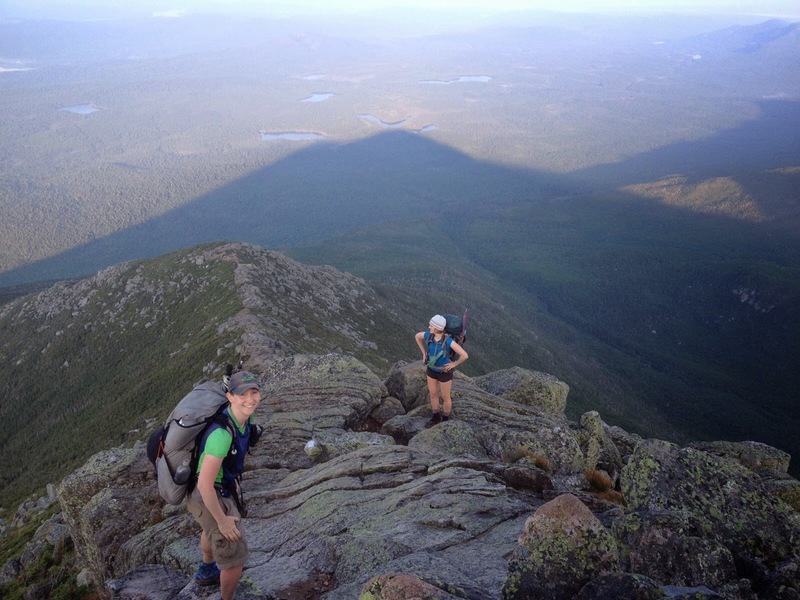 I will continue to blog daily for the Long Trail, so I hope you all stick around for the final leg of my summer. It’s been great to have so many involved and following along for my triple crown and I’m excited to do more. Right now, I’m just ready to rest. Thank you all for your support and I hope you’ve enjoyed the ride! I’ll reflect and elaborate more on everything once it has all sunk in. 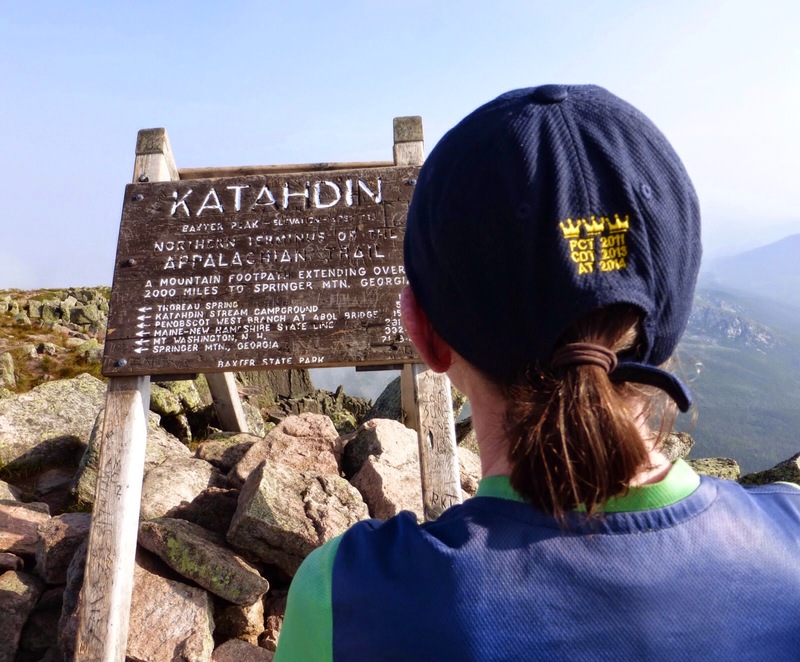 Right now, I’m focused on the Long Trail, so it hasn’t quite sunk in. Whew! Oh, one last note, Jett Cat and I were #134 & #135 to finish this year. I did the trail in 111 days (started April 17th) and Jett Cat did the trail in 123 days(started April 5th). Yay! Great way to end the trail!